You can post images to your Tumblr profile by connecting your Tumblr account to Viraltag. 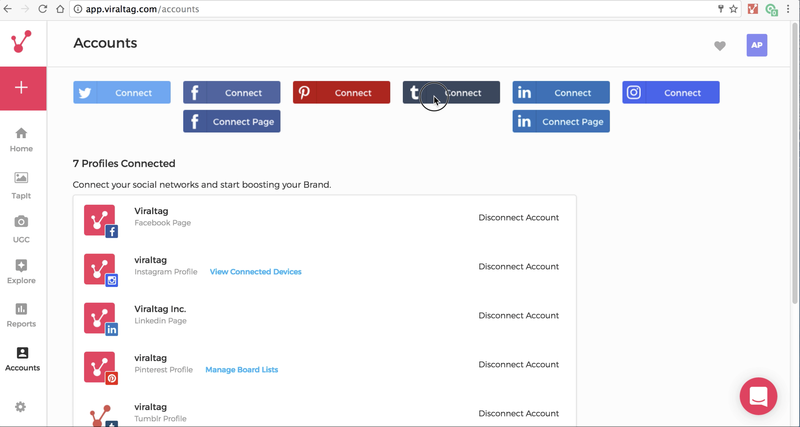 You can view the video demo or refer to the detailed steps below to connect your Tumblr account to Viraltag. 1. Click on the "Connect" button next to the Tumblr icon. 2. 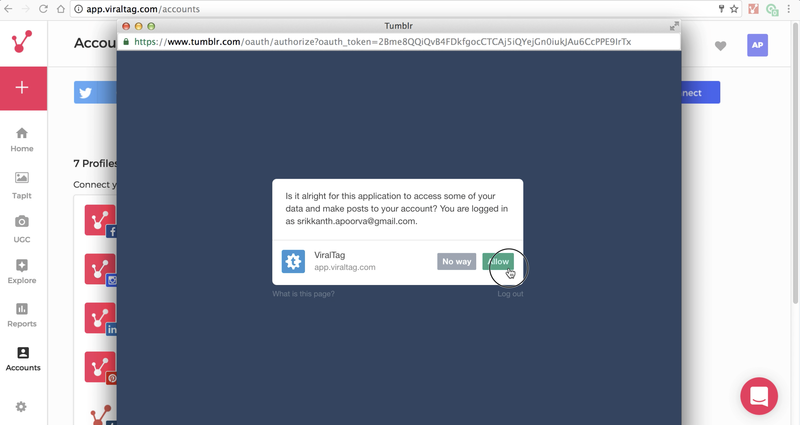 You will get a pop-up window which prompts you to enter your Tumblr login credentials. 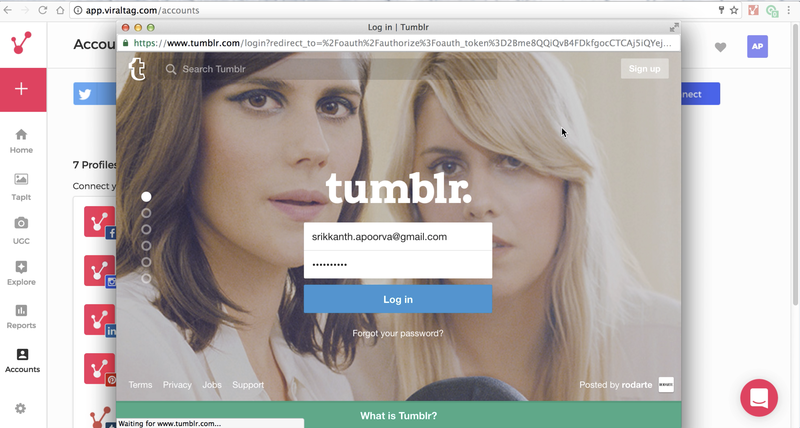 Enter your Tumblr email id and the password associated with it and click on "Log in"
3. You will receive a prompt asking for permission to allow Viraltag to access some of your data and make posts to your account. 4. 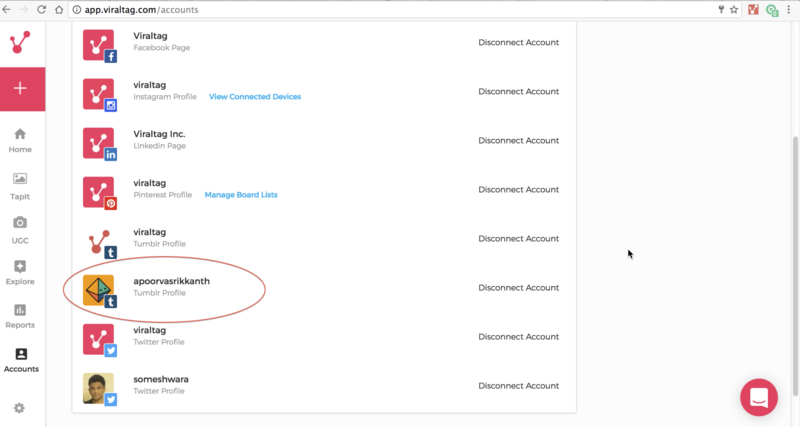 You have connected your Tumblr profile and will now be able see your Tumblr profile in the connected accounts list.